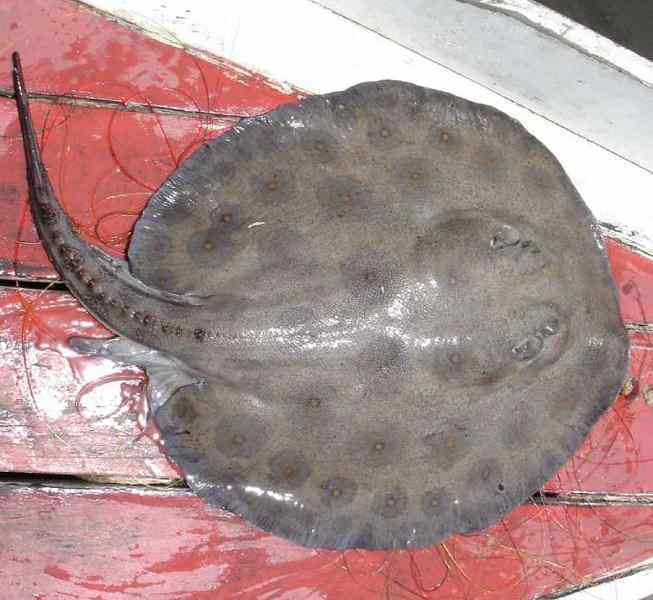 The ocellate river stingray (Potamotrygon motoro) is a freshwater ray stingray native to the basins of the Uruguay, Paran, Orinoco, and Amazon Rivers. The ocellate river stingrays can grow to about 3 feet long. The dorsal coloration is beige or brown, with numerous light orange spots with dark rings.